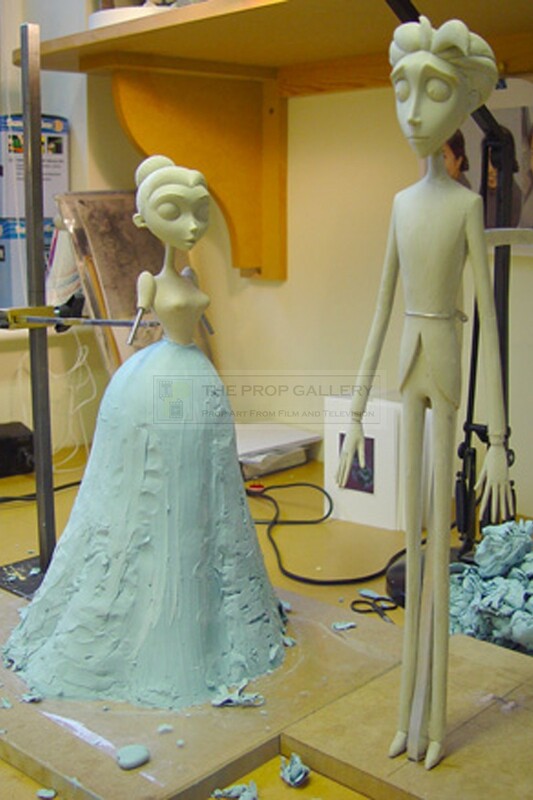 An original puppet form from the the production of Corpse Bride, the 2005 stop motion animation fantasy picture directed by Tim Burton. 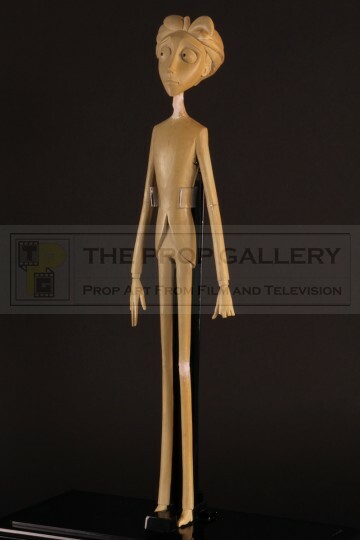 Forms such as this were created during the production of the stop motion animation puppets fabricated by specialists Mackinnon & Saunders, these being used during the construction of the clothing worn by the puppets a number of which were produced by a sculpting and moulding process before being delicately covered in fabric. 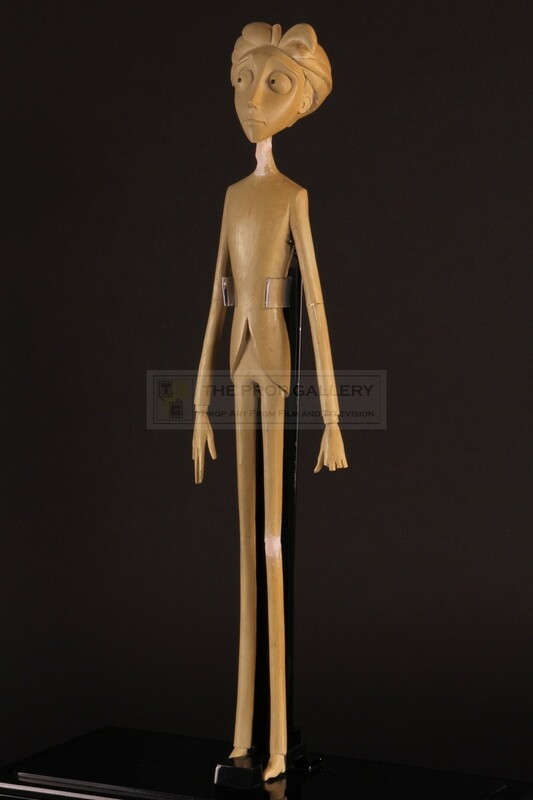 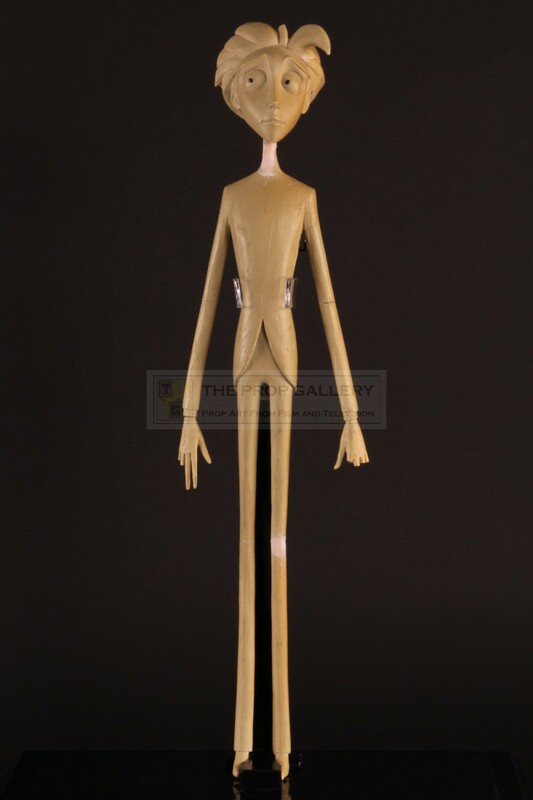 This form for the character of Victor Van Dort, voiced by Johnny Depp, is constructed from resin with a metal core and was created for use in the sculpting of his suit, this to provide a mould which would be used to make the screen used clothing. 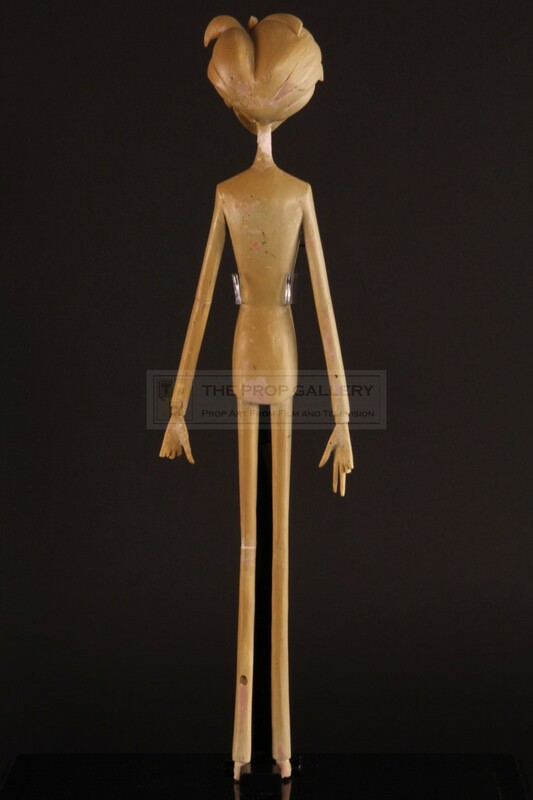 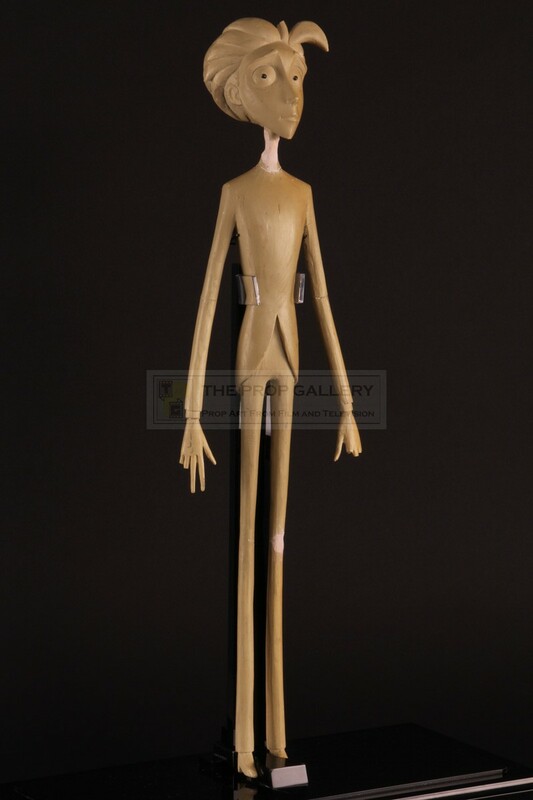 The puppet form is the same size as the screen used puppets standing approximately 19" high, Victor remains in good condition with some minor repaired cracks, lacking the tip of his hair and several of his very thin fingers, otherwise fine.